Experiencing the Best of this Beautiful World. Traveling the world doesn't have to be too expensive, intimidating, or rare. There is simply too much out there to see, explore, and experience for us not to take advantage of! Here's list of websites, apps, and tools you can use to hop on the best flight deals, find the coolest places to stay, go on the dopest adventures, and meet the sweetest fellow world travelers, all on a relatively limited budget! 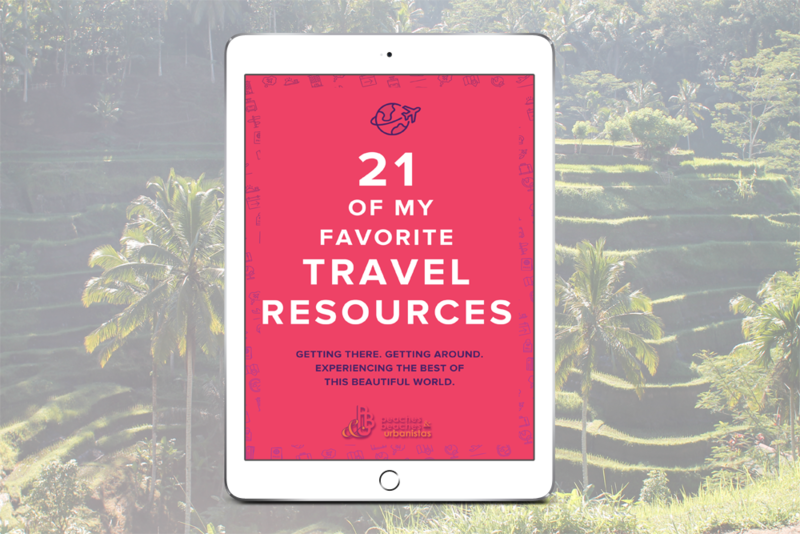 Download this guide to your device and keep it handy for all your future explorations. So You Say You Wanna Get Away? 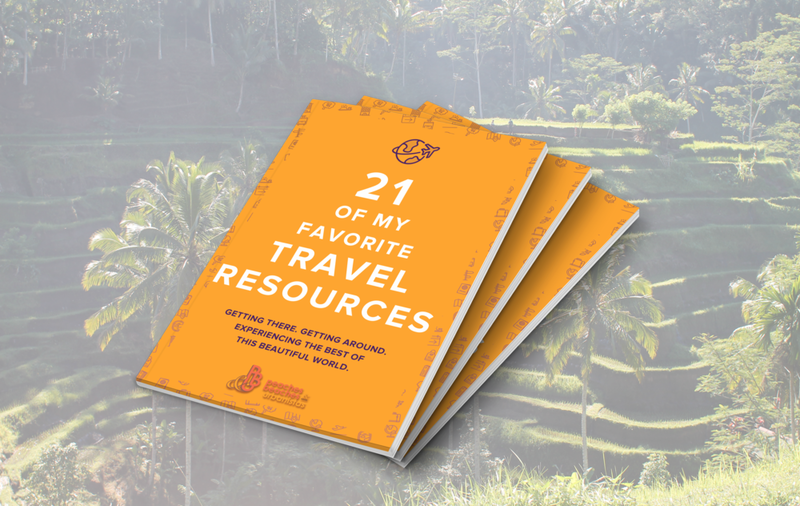 Receive our guide, '21 of My Favorite Travel Resources,' free when you subscribe to PBU. Monthly PBU tales, trips, tips and occasional personal notes straight to your inbox. No worries, no spamming.